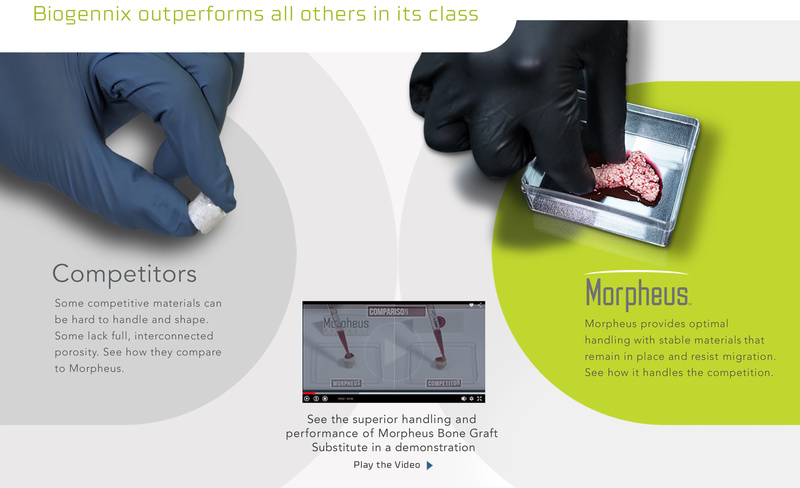 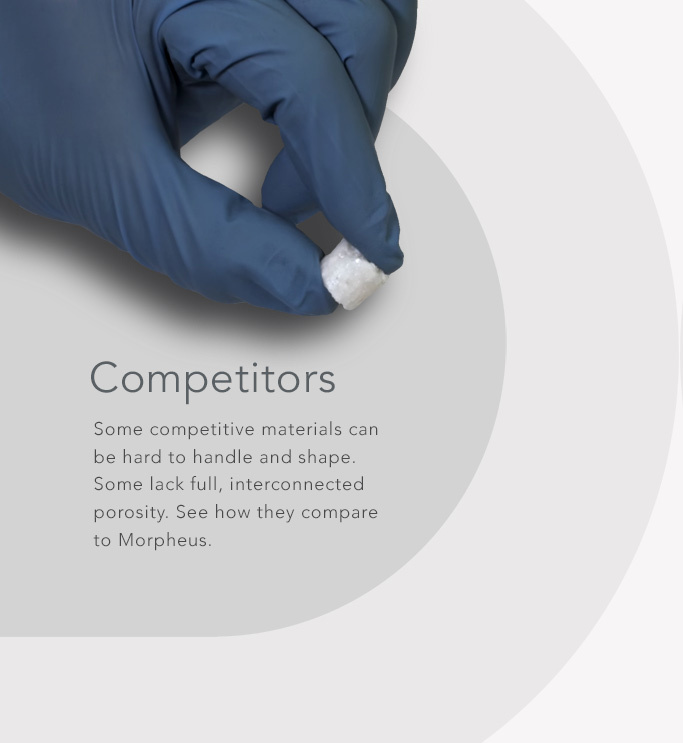 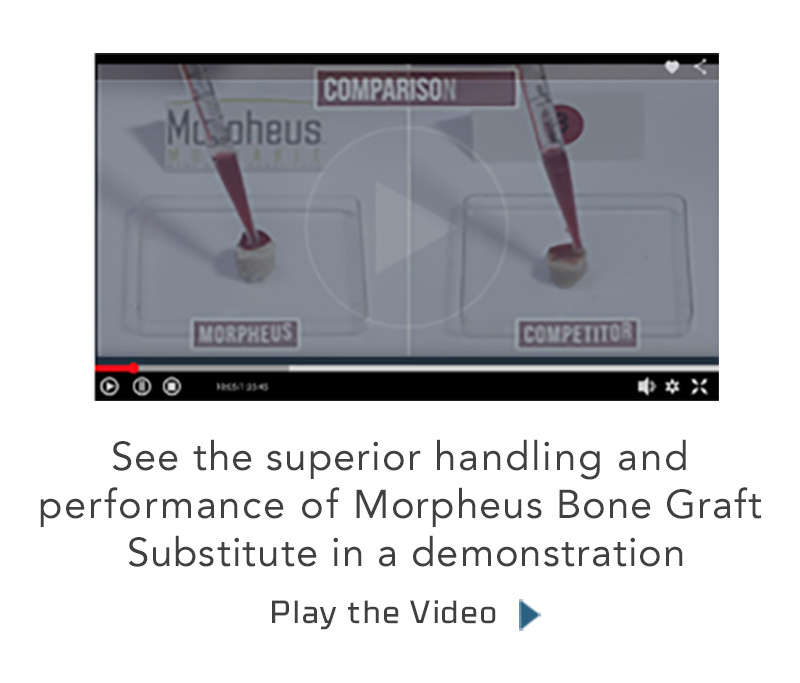 Our flagship product, Morpheus™ is a moldable suspension of osteoSPAN™ granules in a rapidly resorbing, biocompatible and organic binder that provides optimal handling characteristics. 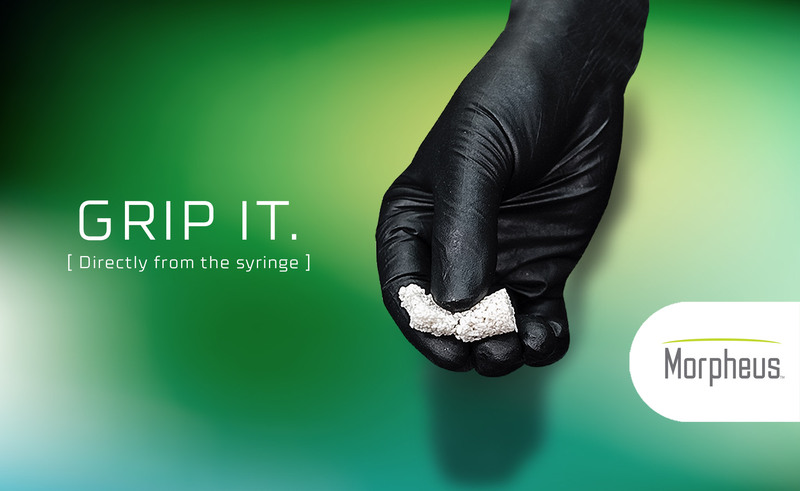 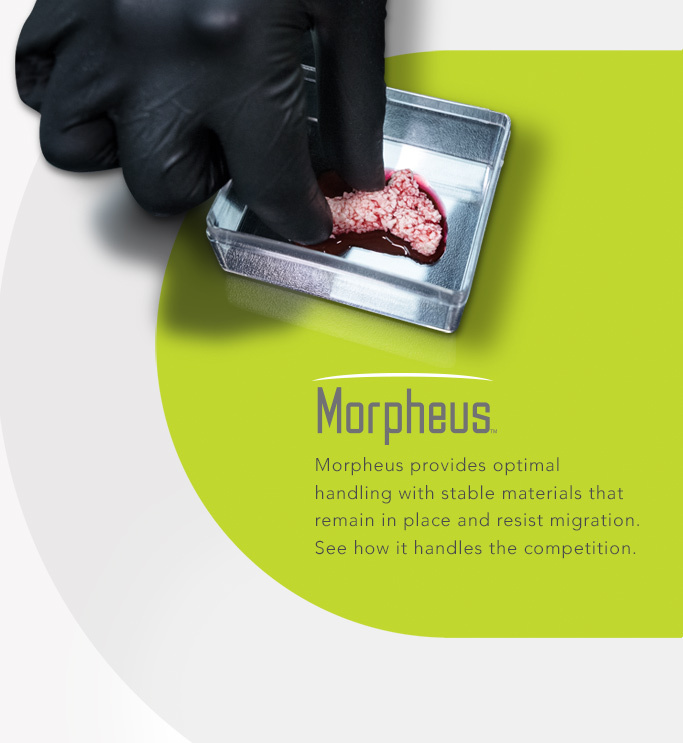 Morpheus is moldable and mixable with autogenous bone, and leaves minimal residual material on surgical gloves. 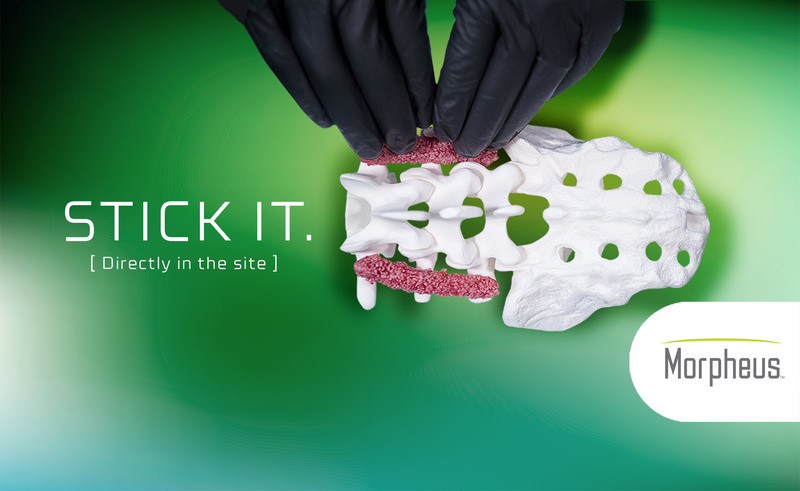 use in posterior spinal fusion. 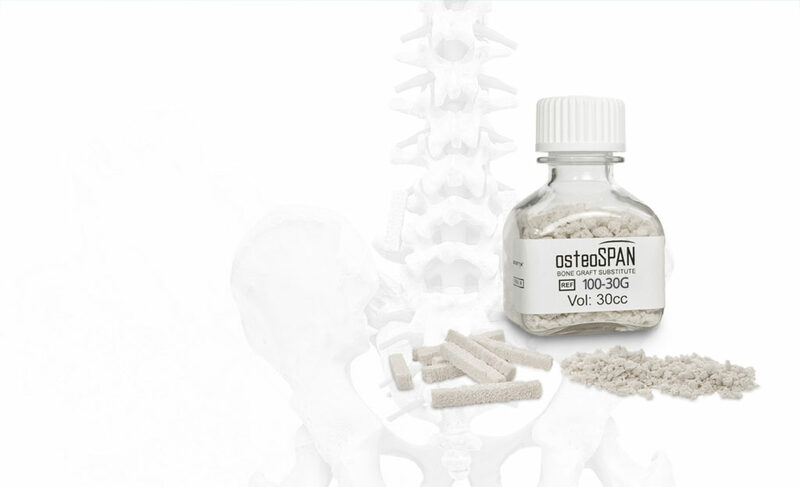 The Biogennix product line is built on osteoSPAN™, a proprietary and proven bone graft extender indicated for use in posterior spinal fusion. 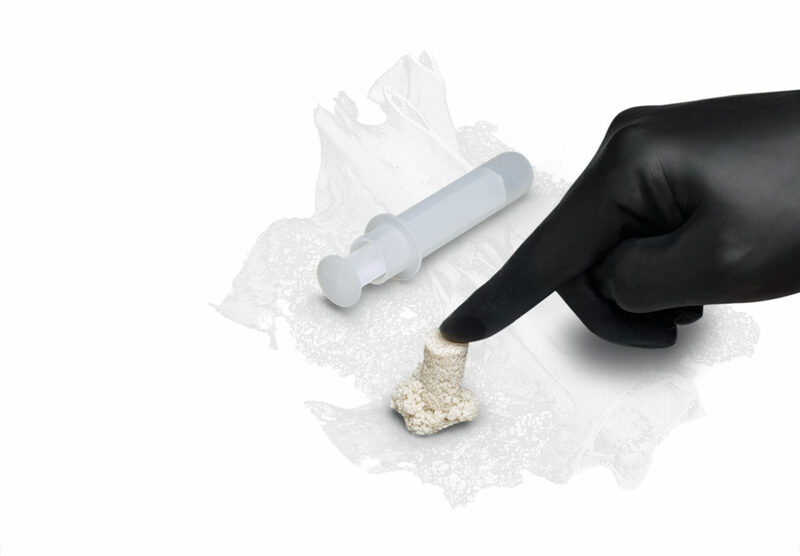 Built as a calcium phosphate/ calcium carbonate composite, osteoSPAN provides interconnected macroporosity that emulates bone.